As you head out in the winter cold to tackle the garden, take heart from the fact pruning your stonefruit trees will result in a healthy tree producing good fruit yields. To prune stonefruit trees including peaches, plums, nectarines and peaches, use the vase shape method. The vase shape method requires you to remove the main trunk of the tree. This encourages air flow, sun light, reduces pests and diseases and allows for bee pollination. All of these factors encourage greater fruit production. Look at your tree and pick the strongest four or five branches ensuring they are evenly spaced around the trunk and are the same height as the core framework. Decide if you want higher branches so can easily get under the tree or if say, you have children, lower branches would suit better for climbing and picking fruit. When you have chosen the best branches, cut the trunk immediately above the highest branch. Cut on the angle so moisture will run off. 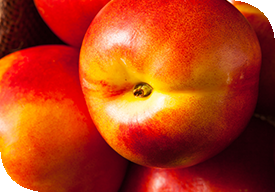 For peach and nectarine trees, which produce flowers on previous season's growth, make sure you don't prune all the tips off the tree as this is where the flowers and fruit will grow in the coming season. Apricot trees mainly form fruit on spurs which are productive for two to three years. Therefore these shouldn’t be removed until they no longer produce fruit.